Evan focuses the majority of his practice on “bet the company” employment class/collective action litigation, including taking mass actions through trial. Evan is a recognized leader in developing methodologies for quantifying litigation risk, and using these tools to ensure results with a high return on investment. He prides himself on obtaining practical, business-oriented, and quantifiable results for his clients. Evan has been named a “Rising Star” by Super Lawyers every year since 2006, placing him among the top 2.5 percent of the best employment litigators in Southern California under 40 years of age. 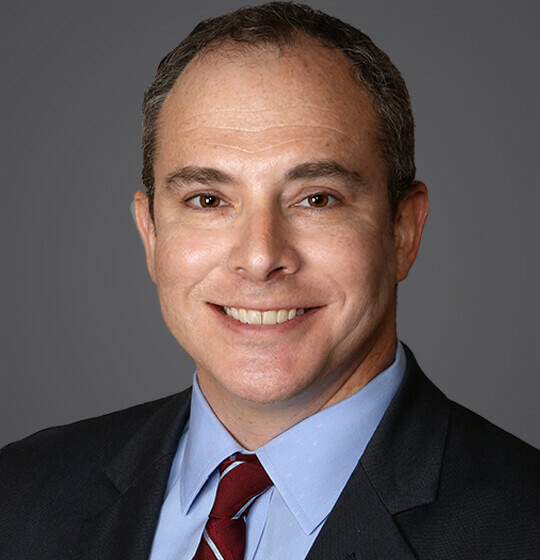 He was named a Top California Labor and Employment Attorney in a feature article by the Los Angeles Daily Journal. Defeated class certification in a hybrid class/collective action alleging misclassification of more than 7,000 employees of an industrial hardware supplier. Defeated class certification in a California class action brought against a technical institute. Plaintiff’s allegations included meal and rest period violations, off-the-clock work, and derivative California statutory claims. Convinced a federal judge to reject California Supreme Court precedent and find that employee arbitration agreements are enforceable with respect to claims brought under the Private Attorneys General Act (“PAGA”). Defeated class certification (on all but a minor claim for wage statement formatting errors) in a meal/rest period case brought against a national cosmetics/retail company. The remainder of the case for the case settled immediately after Mr. Moses filed a post-certification motion for summary judgment of the wage statement claim. Defeated class certification on behalf of a national retailer in a hybrid class/collective action alleging miscalculation of the regular rate of pay. Defeated conditional certification in a nationwide action alleging violations of the Fair Credit Reporting Act and the California Investigative Consumer Reporting Agencies Act. Defeated class certification in a FLSA 216(b) action alleging misclassification of computer professionals. Conducted a national wage/hour audit involving more than 9,000 employees and 23 employment positions. Completed the project 34% under budget. Currently representing a healthcare company in a 7,000-person representative action brought under California’s Private Attorneys General Act. Represented the corporate-plaintiff (a cutting-edge technology start-up) against a significantly larger competitor in a theft of trade secrets/corporate espionage action. After Mr. Moses prevailed in several key discovery motions, defendant hired a second law firm in an effort to overwhelm Mr. Moses with depositions and related expenses. Before defendant could implement this strategy, Mr. Moses elicited damaging deposition admissions from the defendant’s primary corporate witness. Within weeks, Mr. Moses obtained a settlement worth several multiples more than his client’s original demand. Represented a C.E.O. who had been sued by his former employer for violation of a non-compete agreement. Within two weeks, Mr. Moses defeated a request for a temporary restraining order. Within three months, Mr. Moses obtained deposition admissions resulting in complete dismissal of the lawsuit with prejudice. First-chaired trial involving allegations of discrimination, harassment, and failure to accommodate. First-chaired arbitration involving allegations of wrongful termination and termination in violation of public policy. Represented a large financial services company in the defense of an executive’s claim for breach of a golden parachute agreement. After prevailing on each of seven pre-trial motions, the plaintiff was forced to settle for 96.7% below his original settlement demand. July 11, 2013 - Bloomberg BNA's California Decision Support Network - "The 'If Only' Approach to Proactive Litigation Management in California"
July 1, 2009 - Lawdragon - "Indentifying, Avoiding and Remedying Employee Theft"
February 23, 2017 - Law360 - "Moving Co. Escapes 'Skeletal' Wage-And-Hour Suit"
October 23, 2014 - Law360 - "PAGA Claims Can Be Waived in Arbitration Pacts, Judge Says"
September 27, 2012 - Law360 - "Fastenal Managers' Jobs Too Varied for Class Cert. : Judge"
May 15, 2012 - SHRM.org - "Protecting Confidential Information in California"
July 13, 2011 - Los Angeles Daily Journal - "Top Labor and Employment Attorneys in California"
November 2, 2010 - Los Angeles Daily Journal - "Courts Take Conflicting Actions on Meal and Rest Breaks"
November 2, 2010 - Los Angeles Daily Journal - "Moses Discusses California Courts' Decisions on Meal and Rest Breaks"
October 15, 2010 - National Law Journal - "Employee Theft of Data After Termination"
October 1, 2010 - Lawdragon - "Employee Theft Increases as the Economy Declines"
September 7, 2010 - Los Angeles Daily Journal - "Employee Theft On The Rise"
February 2010 - The Recorder - "Go-To Outside Counsel"
March 27, 2009 - California Executive - "Mounting Layoffs Push Trade Secret Theft into the Spotlight"